Jon Chown wrote: When the Japanese documented these ‘Styles’, they did not call them Japanese Style, they merely attempted to place a description on the different styles that were obvious in nature. We could do a lot worse than attempt to emulate these descriptions. I read the comments here that people want an "Australian style ", the comments also say that it should reflect the way that trees grow in Australia. Do you think trees in China actually all grow like Penjing? No they don’t. They grow just as randomly as our trees given the differing climatic conditions. I think that the existing styles are all encompassing and if in the future, a new direction or style should start to make noises, deal with it then. I am yet to see any tree, native or other that actually says "I Am Australian". I agree with the sentiment of this post, I can’t see any benefit from us attempting to create a so called Australian Style lets just create worthy bonsai for the world to appreciate (be it Native or Exotic), after all we have a long journey ahead to even come close to the rest of the World. 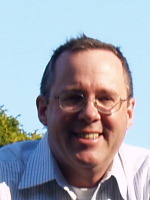 I understand that Steven started AusBonsai.com with the intent to promote Australian Natives as worthy bonsai material and I am prepared to do my bit with this promotion, but I will state here and now – Not to the detriment or exclusion of my Exotics. My love of Bonsai is the appreciation of ANY tree that moves my soul. Lets get over the ‘Us’ and ‘Them’ mentality (leave it to the Yanks) and get on with producing noteworthy bonsai. This has been a great discussion thus far – please let’s keep it on track and not be offensive or defensive. Great posts in a great thread. I like your emphasis on the descriptive nature of the style names. I couldn't agree more. Just as a dictionary describes current and historic use of language, rather than dictating it, so the style names describe current and historic trees. If your tree looks natural, or artistic, or whatever, describe it rather than trying to make it conform to some rigid orthodoxy. I think this approach would have saved a lot of headaches here in the U.S. I resemble your ‘Us’ and ‘Them’ remark. It's far too prevalent here, but comes from our "manifest destiny" history. I regret that it is still used to gin up controversy. I am the 545th best crossword puzzle solver in the world! Hector Johnson wrote: Might I suggest, before anyone goes rushing off to design an "Australian Style" that they take the time to look at and understand what bonsai look like and mean to the creators of the artform (the Japanese, Chinese, Koreans and Vietnamese) and attempt to acquire the basics of what they understand before you go off, tilting at windmills? I agree, Hector! I still question if you can actually define a style or will it simply evolve (if at all). I guess what Jon has said in his post about Japanese styles. I would be very interested to see some photos from the experienced members of this group on their interpretations of Australian bonsai and in particular if anyone has done any landscapes. I personally feel landscape would be an ideal way of capturing the essence (not style) of Australia. brenden wrote: I personally feel landscape would be an ideal way of capturing the essence (not style) of Australia. Well put Brendan. It is what has been missing in this thread until now. "Essence" not "Style". I have seen only two that go close to making me feel that there is a feeling of Australia in the compositions, one is the large planting of Pups (sorry i cant recall the trees used in it Pup) and the other is the smaller planting of Eucys and i think that was Peter H's (I think). Both of those i felt had that something about them that felt Aussie. Last edited by Hector Johnson on March 2nd, 2009, 11:03 pm, edited 1 time in total. Thank you Chris for bringing this thread back to the fore, it caused me to re-read the posts and reconsider the original Question, Australian Style…. What is it? The desire to affirm our individuality as a nation is based upon the belief that there is a single point of 'Australianness' which unites us all. Likewise the search for an Australian Style of Bonsai. Who and what would fit under such a broad heading? There have been a lot of excellent replies and it is obvious that this question has been considered by many of us looking for some form of understanding or direction. It is perhaps pertinent that we consider our age (length of service) in this hobby of ours and I can’t help agreeing with the following comments……. We certainly have the trees, but we don’t have the quality trees (natives) that are capable of making that statement yet or not that I have seen anyway. I don’t doubt for a minute that one day we will have something credible to show the rest of the world and claim it as Australian but at the moment I just don’t see it, not in as far as Natives are concerned anyway. I don't know that it will take generations to produce world class bonsai from Australian natives. What it will take is someone with patience and dedication and a thorough understanding of the habits of native species. After all, the Japanese and Chinese have a pretty big head start on the rest of us, when it comes to techniques and experience on pines and maples. In short, if you want to develop an Australian Style, do it from a position of strength, defensible by the quality of your trees and the resemblance they bear to the native conditions they represent, rather than by your words and shrill insistence that your creation is unique and nationalistic and somehow deserving of recognition regardless of quality. We don't need a defined Aus style to practice our bonsai. We do need careful observation of how trees grow in various places, the same way that an artist carefully observes what they are drawing. Out of this will come great trees that evoke feelings of 'I know that kind of tree or place'. …..and realize that it is equally obvious that the term ‘Style’ is not as easily definable as many would like and I feel that…..
"style" was something your artwork has, your tree has, for the person viewing to FEEL. …..Was the beginning of an understanding for me. It was further qualified by…. Rather than aspire to an as-yet undefined (undefinable?) Australian Style, I'd aspire to the creation of the Australian Image within my Bonsai practice. The difference is subtle, but I believe it has profound implications. So for me, even focussing just on 'tree' is not a vital component of my bonsai so much as internalising the feeling of what the essence of the trees/shrubs that I've seen and greatly liked and then how to create that essence in 'bonsai'. I personally feel landscape would be an ideal way of capturing the essence (not style) of Australia. Perhaps we should stop comparing ourselves with the Japanese and attempt to compete with the Chinese and create Penjing - I can see it now, a herd of Brumbies grazing around the Billabong with a grove of Coolabah trees and a Swagie squatting by the fire. One never knows which words will mature into something that eveyone instantly understands. That is so true. The Japanese did not invent cars. But now the phrase "Japanese car" is instantly understood and accepted. 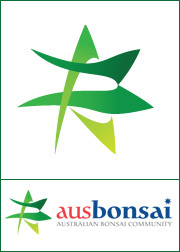 There is no reason why "Australian bonsai" would not be a success as "Japanese car" – linguistically speaking. I think that when it all boils down the first step required to create this elusive Australian Style will be for a lot more knowledge of the growing habits and horticultural methods required to successfully grow our Aussie Natives and to this end we must thank the pioneers who have begun this journey and are documenting their successes and failures. The great landscape artists of Australia painted local content, as we should create living Australian landscapes and trees with native material. The only draw back is the lack of the correct horticultural knowledge of native material which is partly being addressed by a national study group and by many people like myself, who are working with particular species and learning by trail and error, then needing to put pen to paper. Both of those I felt had that something about them that felt Aussie. I also read a few comments about a potential contest and it was well agreed that the 'instant' bonsai is a poor direction. I LOVED the idea of a progressive content where participants can post their progress education readers at the same time. Last edited by Jon Chown on February 16th, 2009, 8:41 am, edited 1 time in total. Something being worked on now, but bigger than this forum. I would certainly like to participate in this exercise. I think a few people have hit the nail on the head with AUSTRALIAN STYLE. To me, it obviously means Australian natives, however, not exclusively... I think I have seen a lot more natives in this forum than ever before, and it makes me proud. over the last 2 years I started a few natives, Eucs. & figs. And I am rapt to be able to do them. Equally, I still want to do other, cedars, pines, maples, etc etc, the old classics. For example, a mighty gum as a stand alone bonsai, or a forest, or penjing, of gums, to me either are perfect. As to STYLE, well, ask yourself, what is style? this is the same question we are always asking here, what do we do with a tree? Turn it into a manicured bonsai, or leave it a wild looking gum. What do the Japanese think when trimming a pine. Let's face it, we have all seen pines in the wild that are not attractive, so a nicely trained bonsai pine can take your breath away. What is the Japanese trainer thinking when doing this, I guess simply looking to bring the best out of the tree. So too would we do to a native here. Just train it to bring the best out of it. But with a native. Rugged, windswept cliff tops are not exclusive to japan, so a cascade pine with shari up and down the trunk, is this Japanese style? are there not pines in other countries clinging to life off the side of a cliff somewhere - of course there are. Can't we have a gum in cascade? Are there not gums ANYWHERE at all in Australia growing off the side of a cliff? There are. The point I'm making is this: Don't get hung up on rules. Get hung up on learning the secrets of balance and aesthetics, or essence, of bonsai. They're the same things that any artist has to learn to excel at their craft. Erm.... Isn't that a kinda contradiction? There are rules that are based on balance and aesthetics, i mean there are really on two types of rules; Balance/aesthetics and horticultural rules (after all bonsai is 70% horticulture and 30% art). So if you only focus on balance/aesthetics, whats the point? You have a great looking dead tree? Before you can break the rules you have to know the rules.. Once you know the rules and reasons for them you can then look at breaking them. Last edited by Asus101 on February 18th, 2009, 2:18 pm, edited 1 time in total. I have spoken to a few other people about this who have indicated interest in creating a landscape and as there isn't much interest from the forum we thought that we would do it off site by email and maybe show the results when we are finished. If you are still interested Brenden, pm me and I will let you know the plan. Hey Jon, i would be interested in this.....maybe, what have you got in mind? I have spoken to a few other people about this who have indicated interest in creating a landscape and as there isn't much interest from the forum we thought that we would do it off site by email and maybe show the results when we are finished. Possibly not the place to be posting this, but I'd be very interested in such a contest/exercise/project. You say there has not been much interest shown here, but the Forum is only young (embryonic compared to some), and many folks have more pressing business than checking for new posts every day, especially during the hotter part of the year. There is every chance that a lot of potentially interested folks have missed the initial mention of a landscape contest. Remember: slowly, slowly catchee monkey. 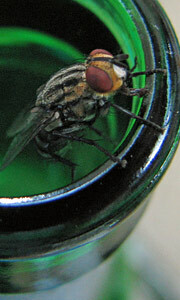 G'day Fly, you may well be right about my incorrect approach, it seems that every time I open my mouth I stick my foot in it and I'm beginning to get used to it. Given that there have been 76 visits to this post since I mentioned the possability of some sort of competition and our regular members are around this number, I figured that most everyone had read it and were perhaps waiting for the bigger and better one. A few of us have been discussing doing a workshop on creating a landscape and given that we are some distance apart we have thought about doing it on line via email. We anticipate taking six months to work on the projects and lend support by sharing ideas and expertice. I am not sure if that would work on the forum anyway but the final results might make for interesting reading. Anyone who has an interest can pm me for information. Last edited by Jon Chown on February 18th, 2009, 7:30 pm, edited 1 time in total.